Nobody's exactly sure how or why 2017 No. 1 overall NBA Draft pick Markelle Fultz's shooting form took such a drastic turn between college and the pros, but we are sure about one thing: It's not good. Fultz played only four games for the 76ers before being shut down with a shoulder injury, during which he displayed bizarre shooting mechanics that drastically differed from those that he used in college and during the summer league. Since then the situation has only gotten worse, as nobody can seem to pinpoint the exact reason why he changed his form. - They still don't know if changing the shot caused the injury or if the injury caused the changed shot. - No timeline. Could come back in days or could be out the season. As he continues to rehab his shoulder, videos have surfaced showing that his shot still doesn't look right, and 76ers general manager Bryan Colangelo recently said that Fultz's shooting range was limited to "within the paint." With Fultz, there is a different motivation to get him behind the VR goggles. 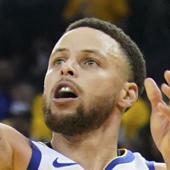 The Sixers, according to multiple sources, wanted him to be able to visualize the mechanics he'll use in a game, to remember how easy it once was for him to rise up with the ball and shoot from anywhere on the court, and to be able to do so without the glare of the cameras or other people around him. With pressure coming down on him from all angles, turning part of a teenager's job into a video game is one way to relieve the stress of the situation. According to Neubeck's sources, the Sixers have used virtual reality training with other players before, including injured rookie Furkan Korkmaz. The situation would be concerning for any young player, but shooting was one of the main reasons why Fultz was taken first overall (he shot 41 percent on 3-pointers in his only season at Washington). The fact that the Sixers are going through such extreme steps to completely rebuild his mechanics and confidence is undoubtedly concerning. It's entirely possible that the Sixers sit out Fultz for the rest of his rookie season, as they've done with other young players in the past, to allow him to work on his shot (both physically and mentally) without the constant pressure and criticism from fans and media. Philadelphia is definitely on the upward trajectory -- currently in position to make the playoffs for the first time since 2012 -- but if Fultz is unable to develop into the player they believed he could be, it's going to throw a serious wrench into The Process.